Before Simon Whetham begins his performance, he asks you to close your eyes. However, I could not help but open my eyes briefly a few times. I saw Simon walking around slowly, holding a cymbal in his hands. A tactile transducer was attached to the cymbal (Simon uses Dayton transducers, often also called exciters. If you want to know more, about what kind of microphones and loudspeakers he is using, have a look at the very detailed equipment list on his website). 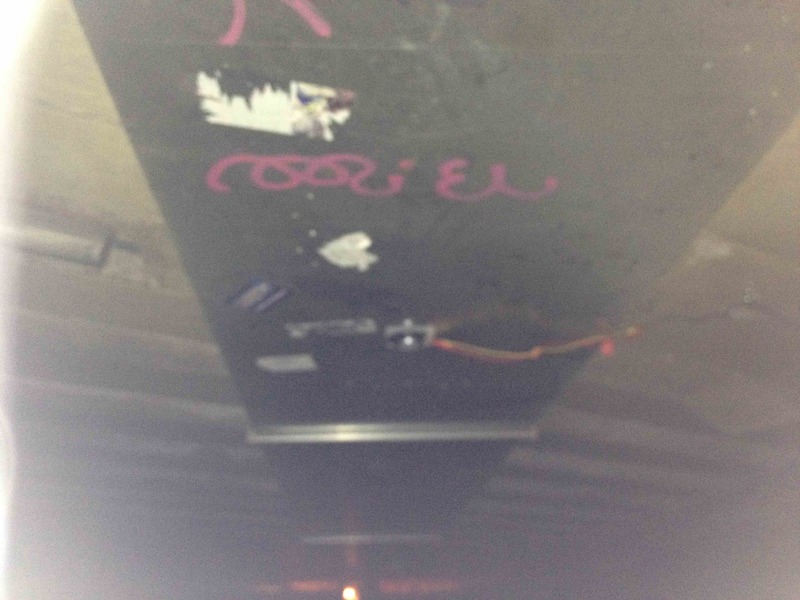 Larger sounds were diffused by a tactile transducer attached to the big metal ventilation system on the ceiling, resonating in different ways depending on the frequencies diffused by the tactile transducer. 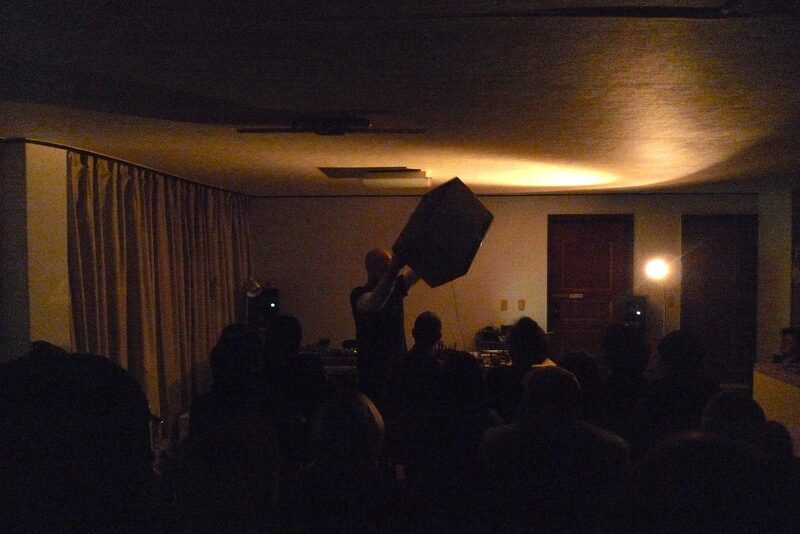 Simon Whetham carries an object with a tactile transducer attached to it through the audience. © Simon Whetham. Every performance space is different of course, as are the objects you might find in such a space, so I asked Simon how he prepares for these performances. 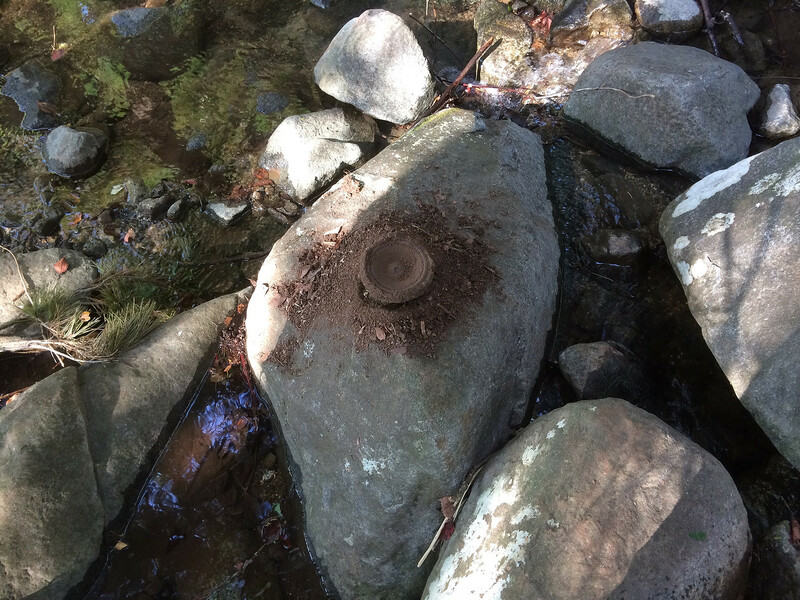 He told me that besides being experienced enough now to often know already what object might sound good, “banging and knocking on objects to test their resonance and which part is more resonant is essential. Also when setting up I will place objects in various parts of the room to test how each one works in the space, for distance and if they will even vibrate against another resonant object. But then this can change during the performance as I often have no control over where people sit!” And some of his favourite objects, such as the cymbal, just travel with him. 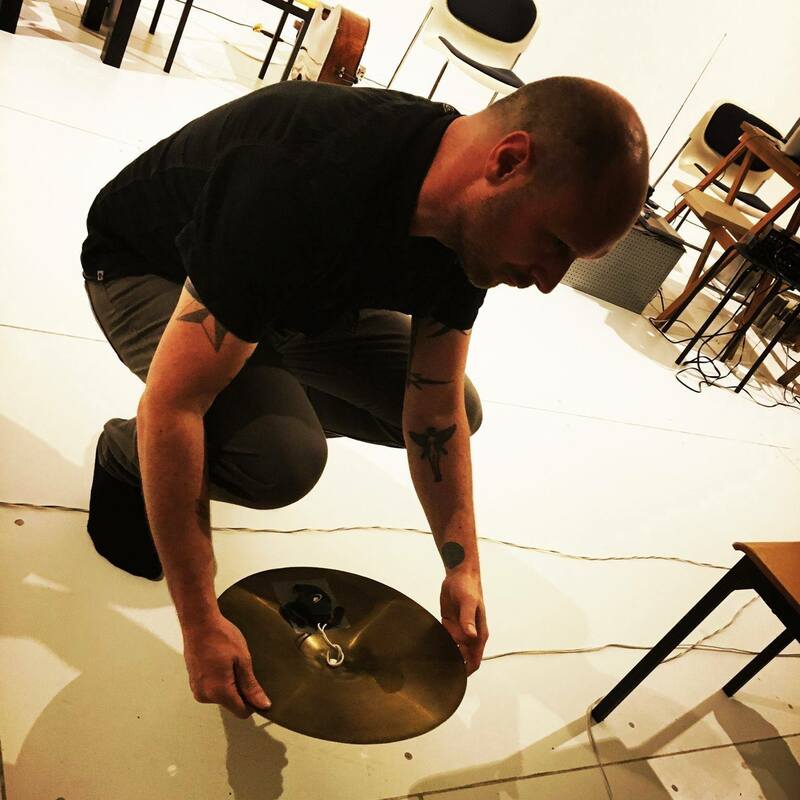 Simon Whetham holding a cymbal with a tactile transducer attached to it during the blurred edges festival 2016. © Simon Whetham. A loudspeaker cone prepared with broken glass. © Simon Whetham. Picture by Michel Pennec of humus in Lausanne. In contrast, in Everyday Emanations (Dead End) (2017) the sound source is more easily recognisable and plenty of visual cues reveal the source of the sound. Once again, Simon uses tactile transducers, this time attached to damaged car parts. He recorded sounds of traffic inside objects such as pipes, bottles and cans in the streets of Nakanojo (Japan) and these are played through the tactile transducers. Or in Simon’s words: “So ‘dead’ cars would play the sounds of ‘live’ ones.” This time your eyes should not be shut, since car lamps are used to light the space, turning on and off according to the volume of the sound. 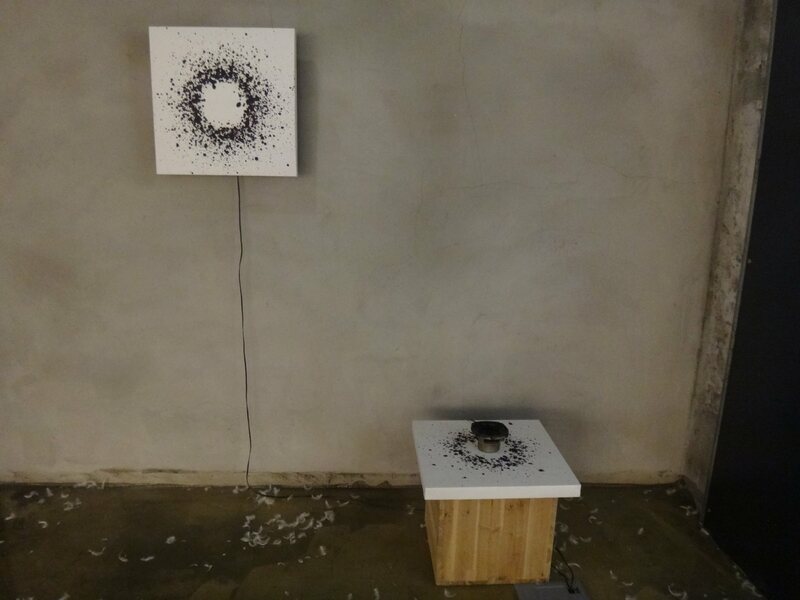 In Trace of the Storm (2017), created at the Open Arts Project in Busan (South Korea) a recording of a storm is played through two loudspeakers. One is attached to the wood of a painting, the other is a speaker cone filled with Korean ink, and produces a painting similar to the first. 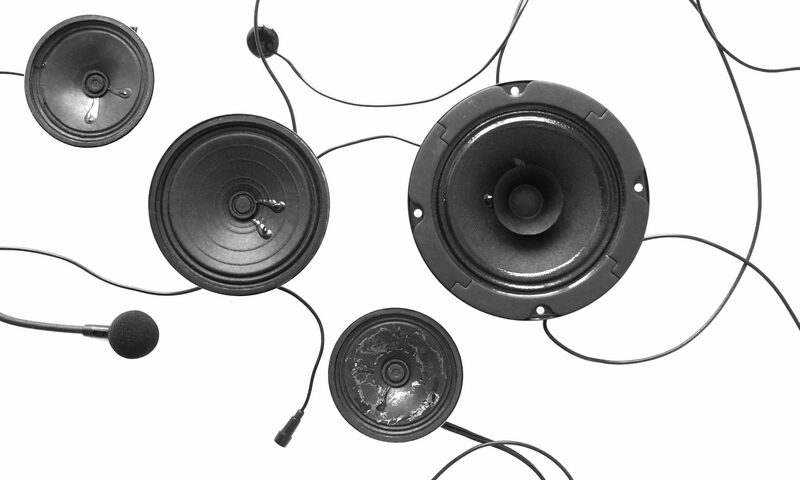 “The sound continues to play through both pieces, but is heard in two different ways. The picture filters out low frequencies so you hear more detail, whereas the open speaker is almost inaudible, but creates another ‘drawing’.” This results in what could be called an action painting by a loudspeaker. 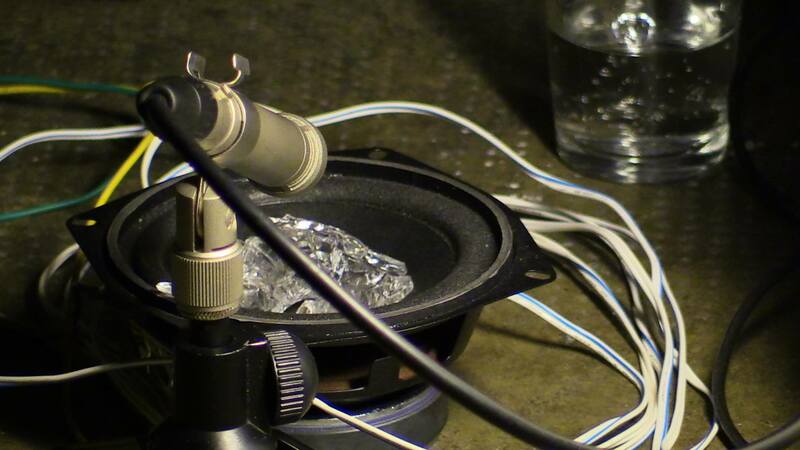 In Simon Whetham’s works, the microphones and loudspeakers are not only transducing between air and electricity; they also translate all kinds of movements and sounds. The trace of the storm by Simon Whetham: one finished painting and one in the process of being made. © Simon Whetham.